Walk into the large, open room that houses Otis Books, the literary imprint of Otis College of Art and Design on any given day and you’ll see people working diligently in InDesign, typesetting and creating layouts. Others might be reading through submitted manuscripts, or proofing pages of forthcoming titles. Someone else is busy corresponding with a distributor or an author. All of the normal activities that make a small press run. Except these people are students, and this intimate exposure to the oft-inaccessible side of the publishing world is part of Otis College’s MFA Writing program curriculum. 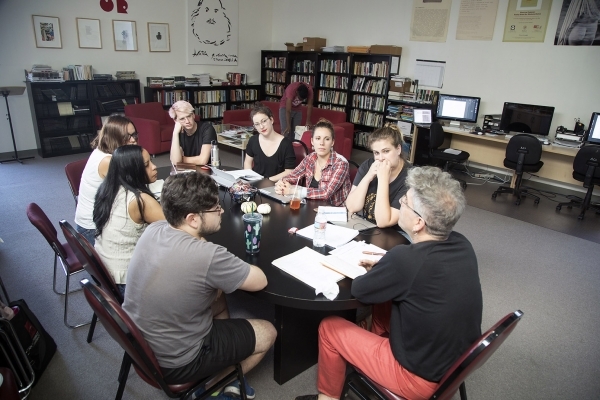 Learn more about MFA Writing at Otis College of Art and Design. Applications are currently being accepted on rolling admission basis as space remains available.